Founded in 1865, BASF has grown to become the largest chemical company in the world with over 112,000 employees worldwide. BASF focuses on creating “chemistry for a sustainable future,” with an emphasis on environmental protection and social responsibility. When BASF began planning its 150-year anniversary in 2015, the company decided to forgo the traditional, self-congratulatory advertising campaign. Instead, BASF challenged itself and their employees to explore the role of chemistry within three global challenges: urban living, smart energy, and food. BASF North America focused on the topic of Urban Living, according to Alberto Hernandez, Special Projects Marketing for BASF. In 2012, Red Hook, Brooklyn and the New York area were devastated by Hurricane Sandy, which caused $32 billion dollars in damage. 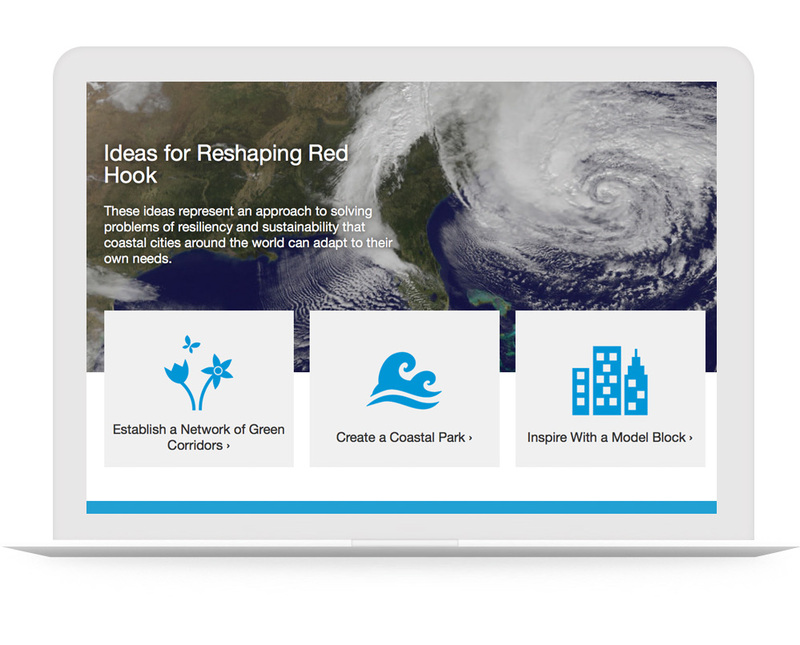 Therefore, it made sense to use Red Hook as a case study to develop solutions to prevent future damage from extreme weather. A 36-page white paper was created as a result of BASF’s Creator Space event in NYC. The event brought together Red Hook residents, industry experts, local business owners, scientist, engineers and more—and engaged them in a multi-day, co-creative exercise with the hope of serving as a guide for renovation and preservation of coastal communities around the world. However, it’s difficult to get high levels of engagement online for static PDFs, so Hernandez looked to ion to generate excitement online around the complex project as a company who understands how consumers digest information online. 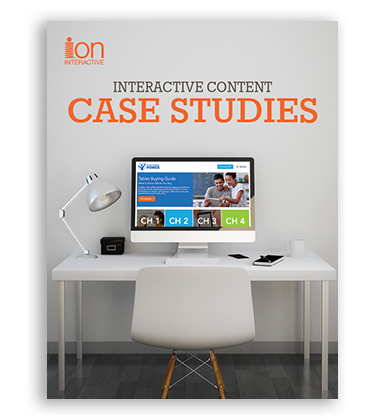 To get people excited about the content, ion and BASF took the five main ideas listed in the white paper and created interactive content around the three most salient points. For example, the white paper suggests that creating a coastal park is the most effective way to protect the vulnerable neighborhood of Red Hook from storm surges while preserving its beautiful waterfront views. 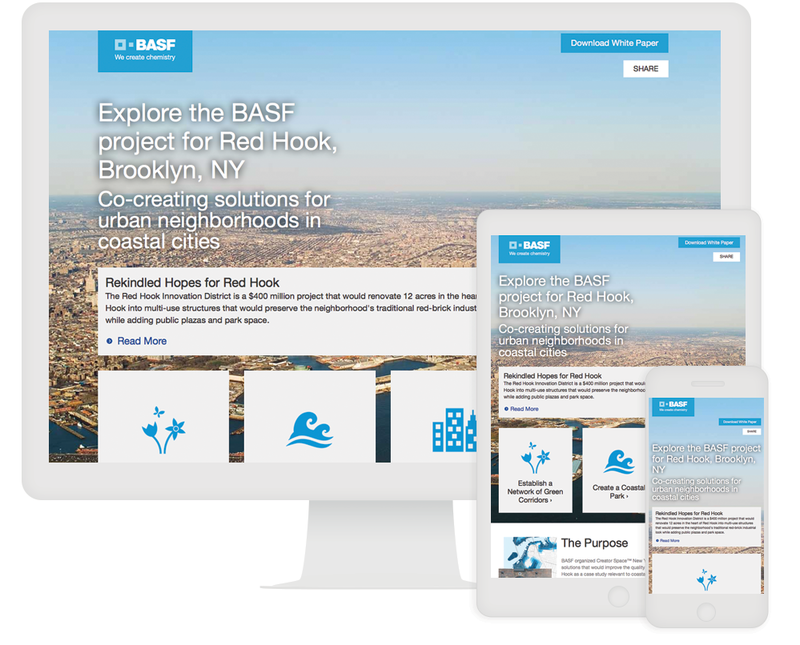 ion used BASF’s plans for a coastal park to create an interactive map that allows readers to explore the park for themselves on the microsite. 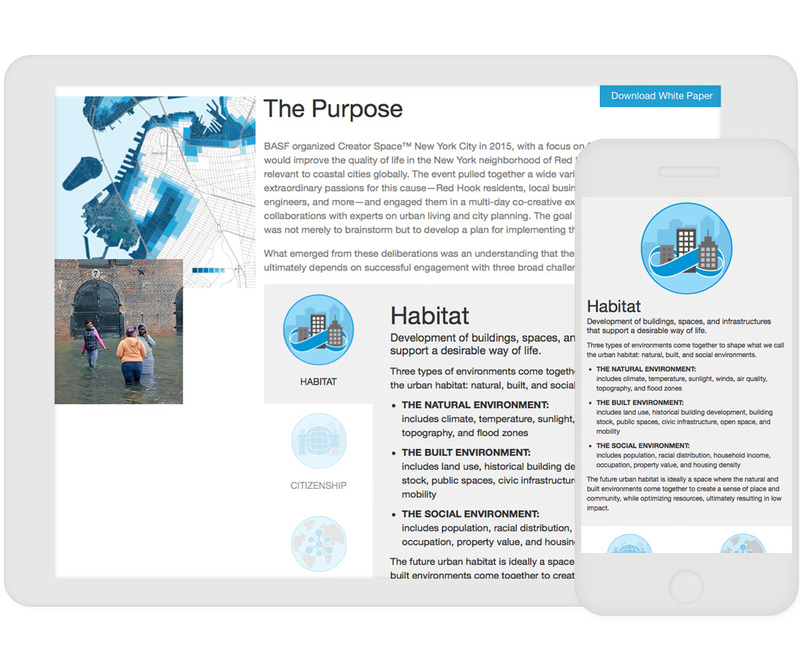 The microsite’s homepage also provides an interactive timeline of Red Hook’s history, content reframed as interactive quizzes, and information on improving coastal resilience. The content is both fun and highly engaging for curious readers who are not highly knowledgeable in coastal resilience and Red Hook. The result leads readers around a circular path of information whereby one fact leads to another. Linking the disparate parts of the coastal living research with interactive content has significantly boosted engagement on the microsite and downloads of the white paper. The average time spent with the microsite was 12 minutes and 23 seconds, which made Hernandez hopeful that the audience is both digesting the complicated subject matter and becoming curious about the white paper and BASF. The CTA to download the white paper in the upper right-hand corner of the microsite is winning attention as well, with 16.78% of visitors clicking and 57.73% of those converting. As Hernandez shares information about the BASF coastal cities project at events around the country in the second half of the year, he’d like to see more site visits as well as shares. Initial enthusiasm for the site among colleagues and visitors alike has made him hopeful that more attention is still in store.